The most popular characters! The most acclaimed creators! The most ambitious stories! This is the energized Ultimate Marvel NOW!. This April, Marvel’s Ultimate universe undergoes a massive overhaul in an exciting and new direction as the industry’s top creators – Brian Michael Bendis, Michel Fiffe and Joshua Hal Fialkov take everyone’s favorite Ultimate universe characters – Spider-Man, Iron Man, Kitty Pryde, Sue Storm, Black Widow (formally Spider-Woman), Cloak & Dagger and more in an all-new and exciting direction after the devastating events of Cataclysm. 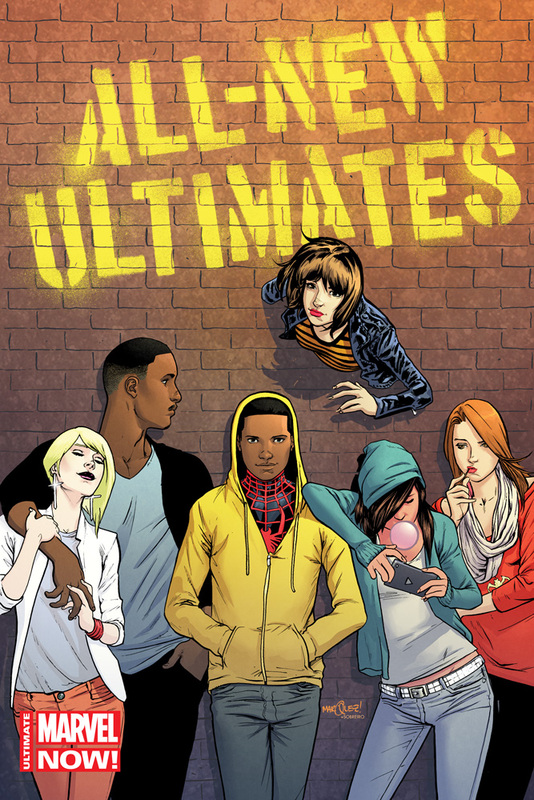 “The Ultimate Universe is relatively young, which yields more opportunities for real change, real dangers, and dramatic avenues left unexplored in superhero comics,” says ALL-NEW ULTIMATES writer Michel Fiffe. It all starts in April with ALL-NEW ULTIMATES, from the creative team of Michel Fiffe (Copra) and Amilcar Pinna (X-Men: First Class). 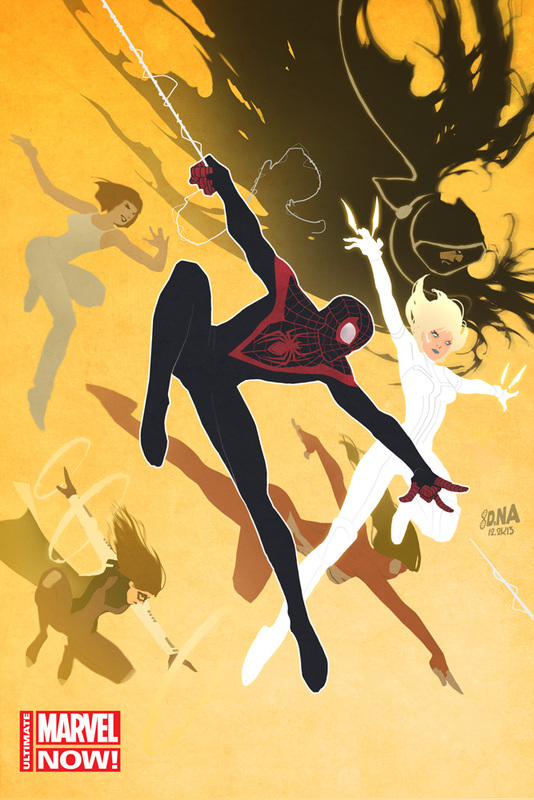 Spider-Man, Black Widow (formally Spider-Woman), Kitty Pryde, Bombshell, Cloak & Dagger officially unite to tackle the vicious, rampant crime wave overtaking Hell’s Kitchen! But can this new team of Ultimates stand up to the murderous gang known only as the Serpent Skulls? Ultimate Marvel NOW! 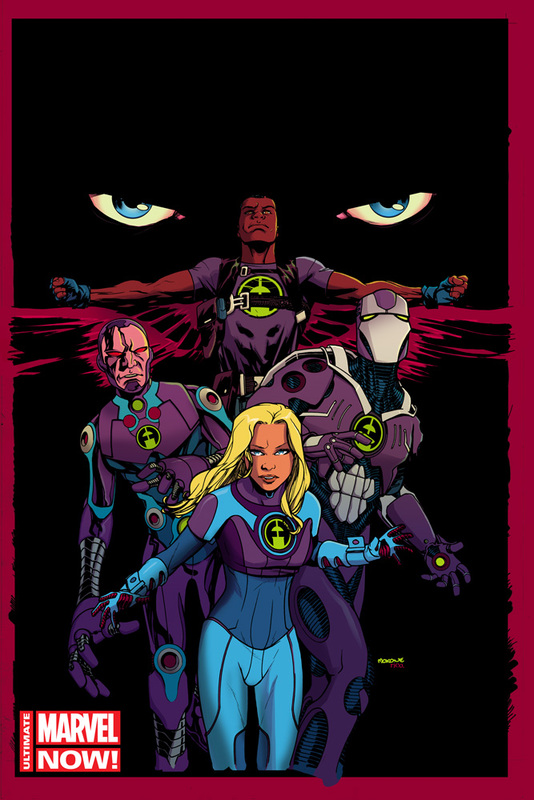 continues through the spring of 2014 with the launch of ULTIMATE FF by Joshua Hale Fialkov (Cataclysm: Ultimate X-Men) and upcoming superstar artist, Mario Guevara. The FF – Future Foundation – is all that stands between the Ultimate universe and COMPLETE AND UTTER DOOM! Can Sue Storm, Tony Stark, Machine Man and Sam Wilson face the oncoming devastation directly after the events of Cataclysm? Every FIRST ISSUE bearing the Ultimate Marvel NOW! branding includes a code for a free digital copy of that same comic on the Marvel Comics app for iOS and Android devices. Once again, the biggest creators bring you the biggest characters in the biggest stories…and it’s happening NOW! For more on Ultimate Marvel NOW!, please visit www.marvel.com.